I know that you have been waiting to hear from me, eager to learn how I’m faring in the ordeal I explained to you in my previous post. I apologize for the silence but I’ve had many matters to attend to that are more important than blogging. I’m busy establishing my new domain. I will explain this photo in my next post. Until then, I’ll let you formulate your own theories. Also, I don’t have much time to write because Heather, my typing assistant, is leaving today for a place called Mauritius. How rude. Why she would want to leave my magical new domain so soon is beyond me. But all is not lost. I plan to take advantage of Heather’s absence, cementing my domain and training Ray, my second assistant, to properly meet my needs. He has much to learn. 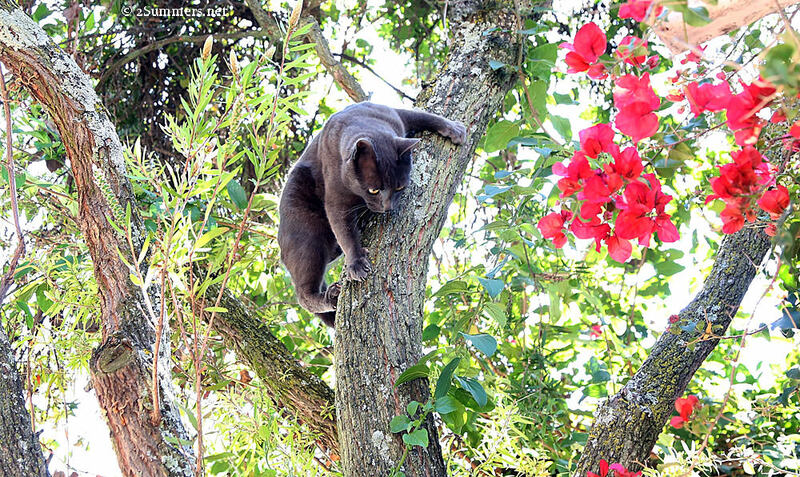 I will also engage in tree-climbing practice. My climbing prowess is strong but I need to hone my technique. Fear not, fans. All is well. Until next time. Good to know the kitty is settling in. 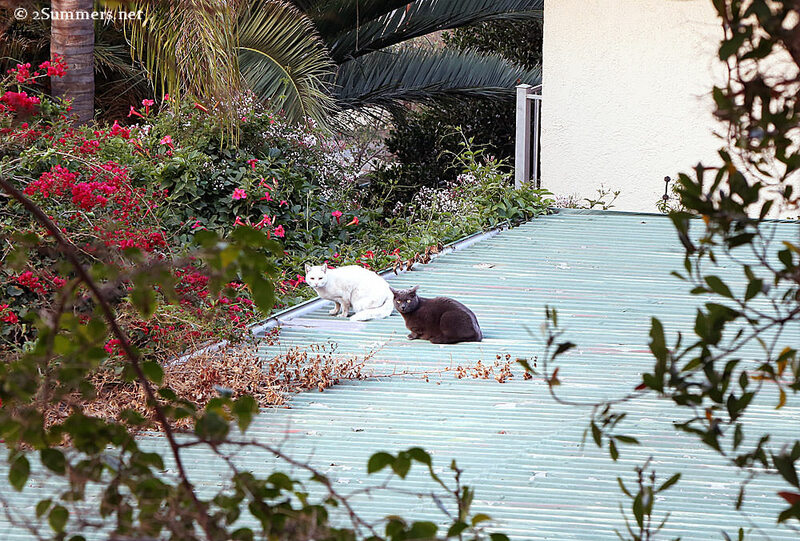 Do Smoky and his second assistant Ray get along?